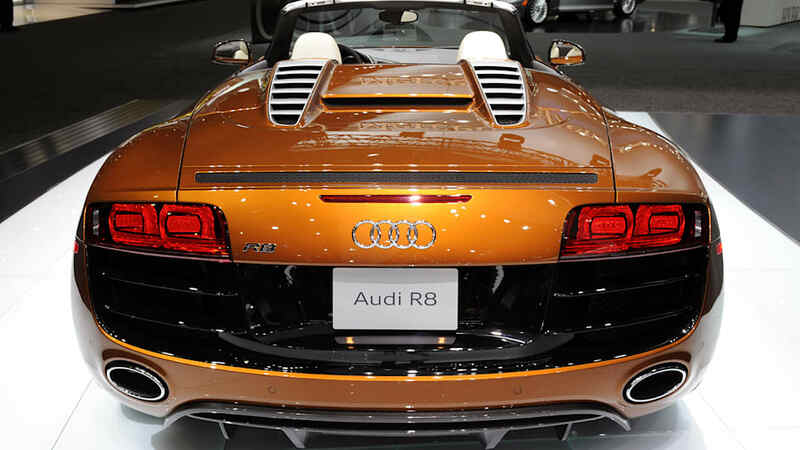 The V10-powered Audi R8 5.2 FSI is a fantastic car, whether in coupe or convertible form. 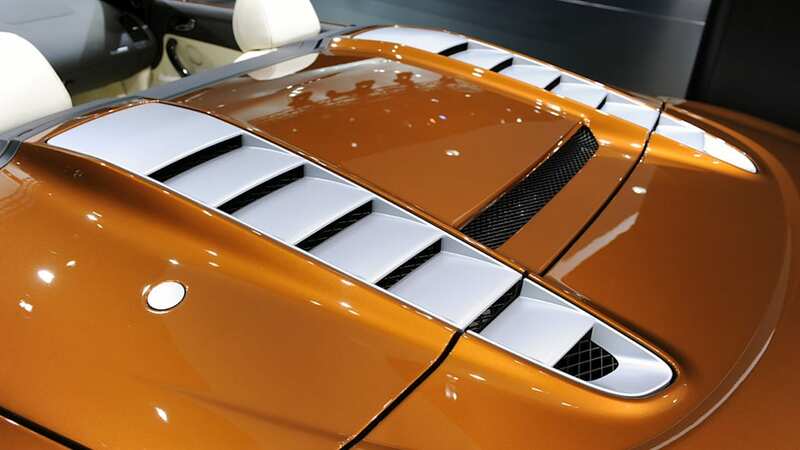 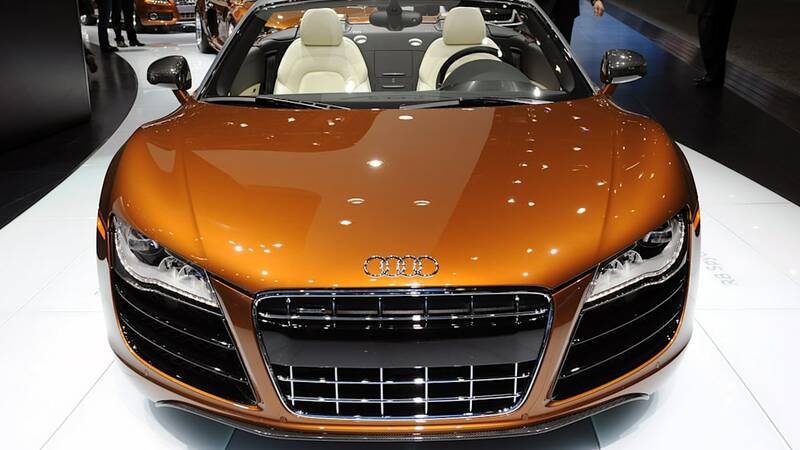 Heck, it's even great in brown, as proven by the pair of cars on the show floor. 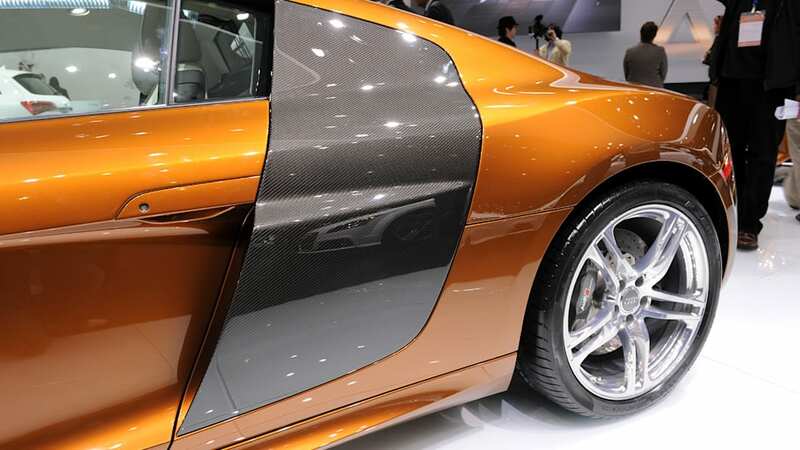 It might not be our first color choice for the German supercar, although it was a nice change from the usual white, silver, and gray cars that usually are strewn about the Audi stand. 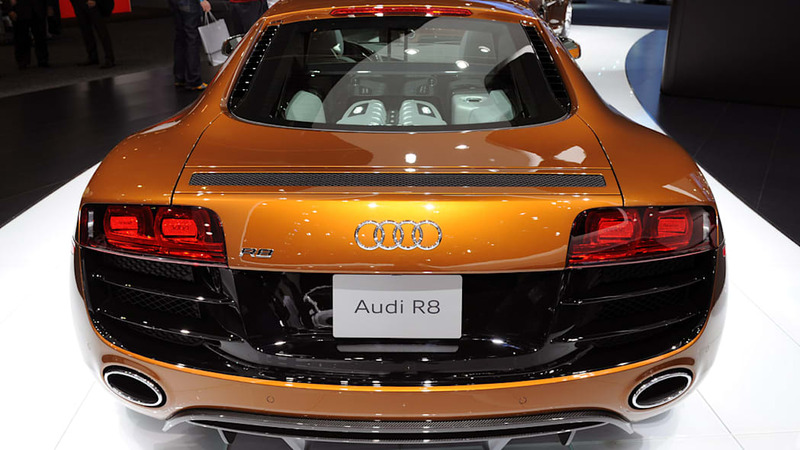 Not that it matters, of course. 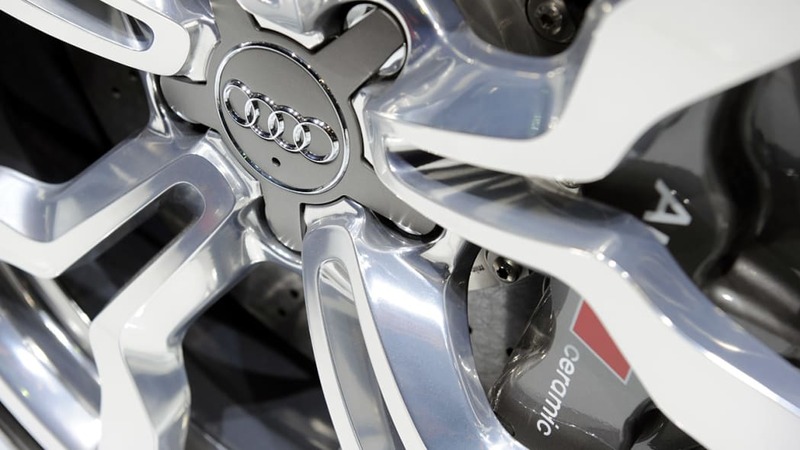 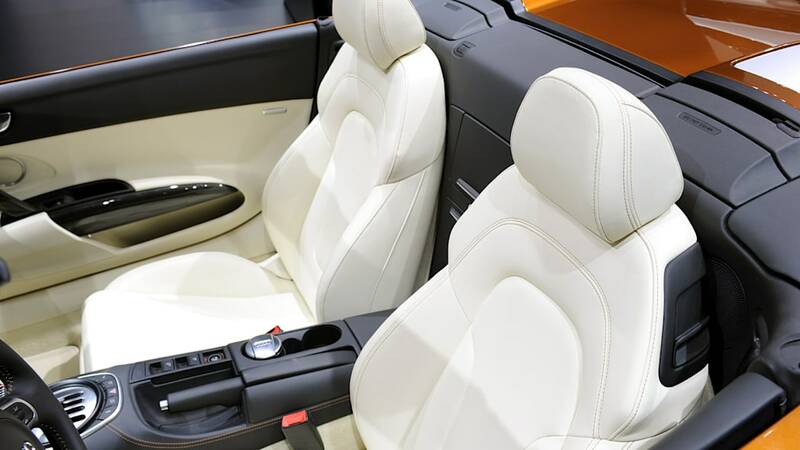 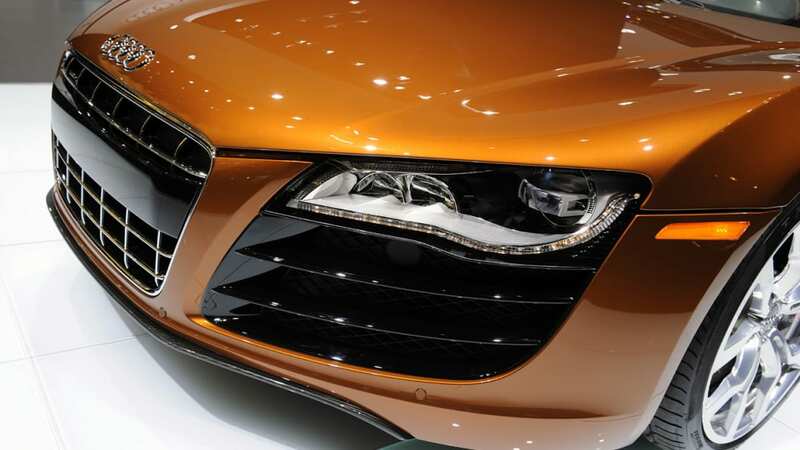 A look on Audi USA's web site reveals that the color isn't available here in the States. 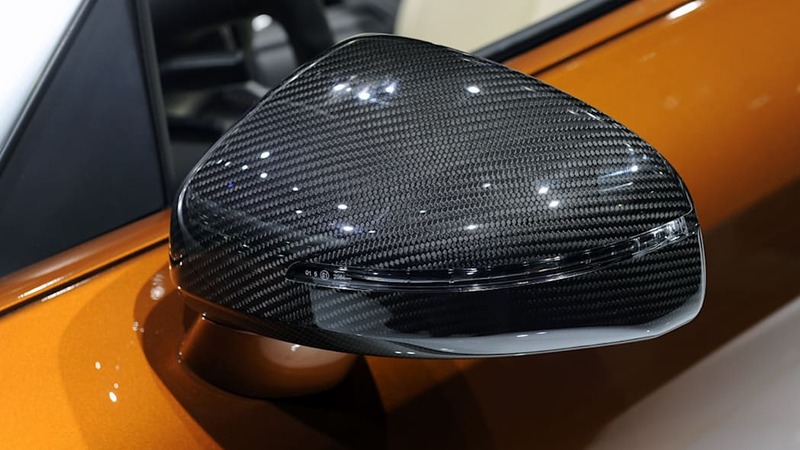 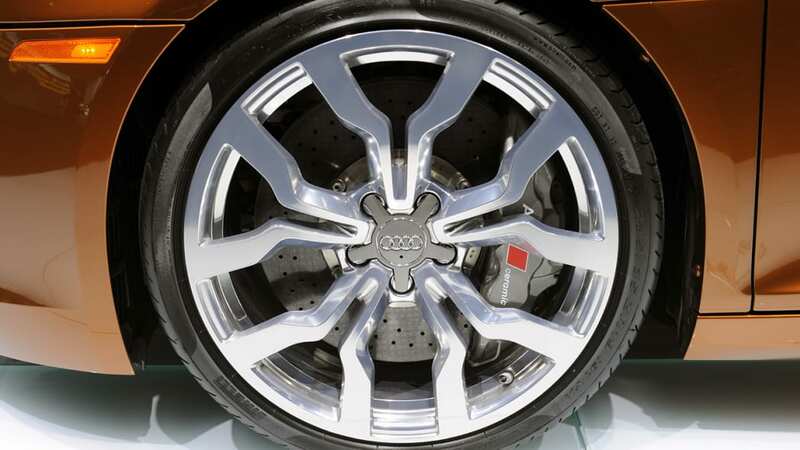 Neither are the carbon ceramic brakes that are hiding behind the 19-inch wheels. 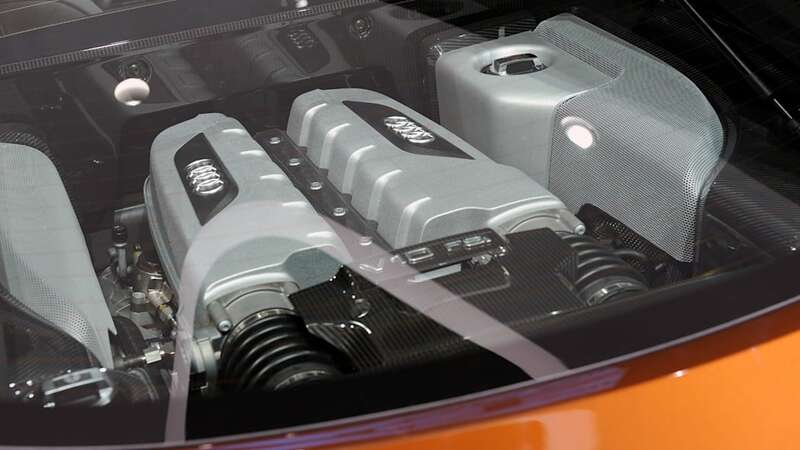 A sign of things to come? 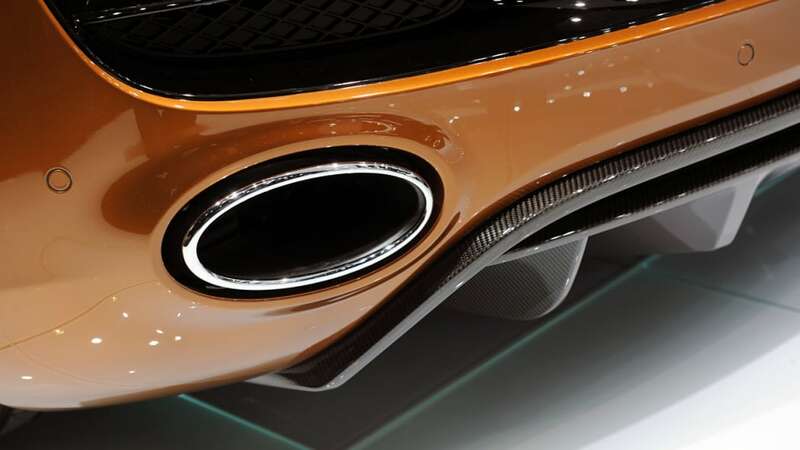 Perhaps, and we wouldn't be too heartbroken if they came up as future options. 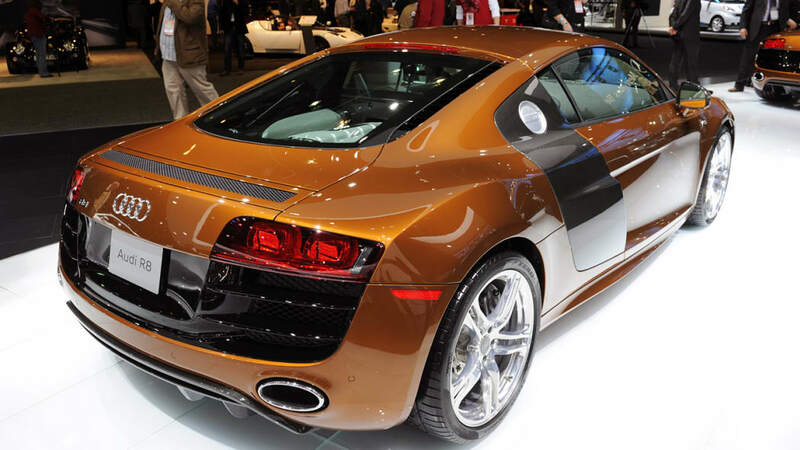 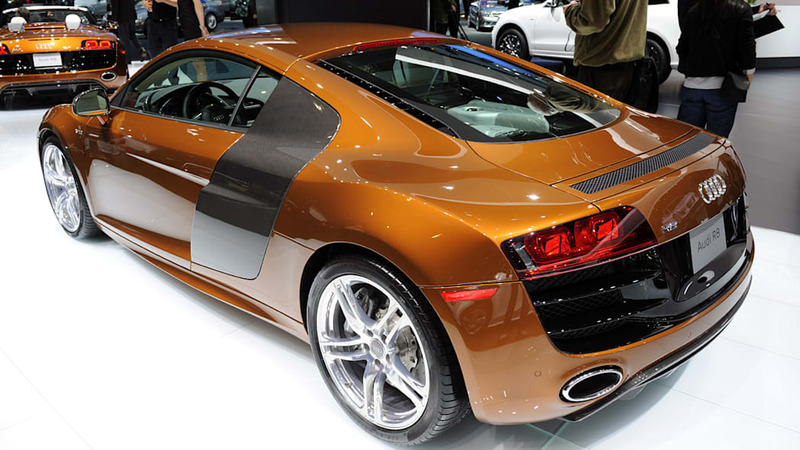 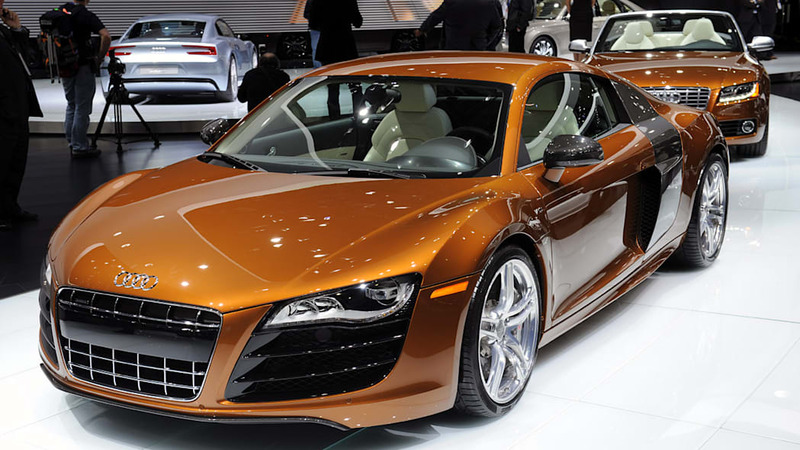 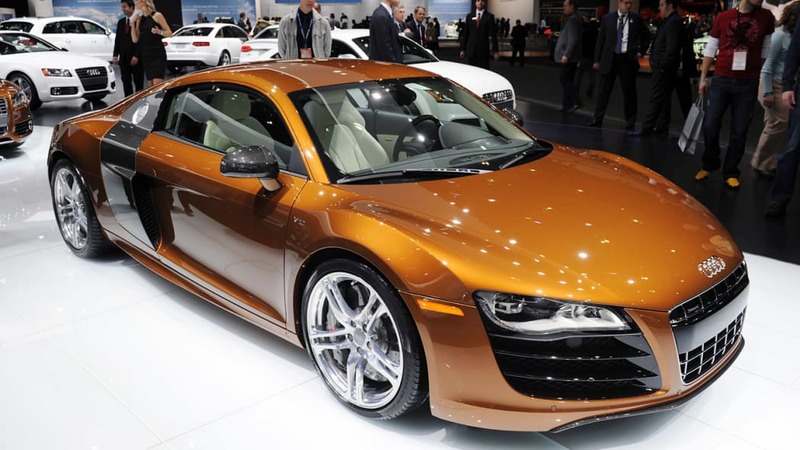 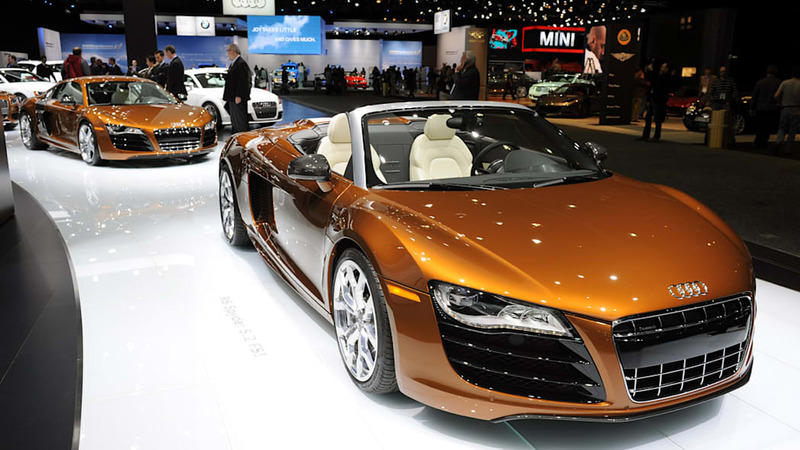 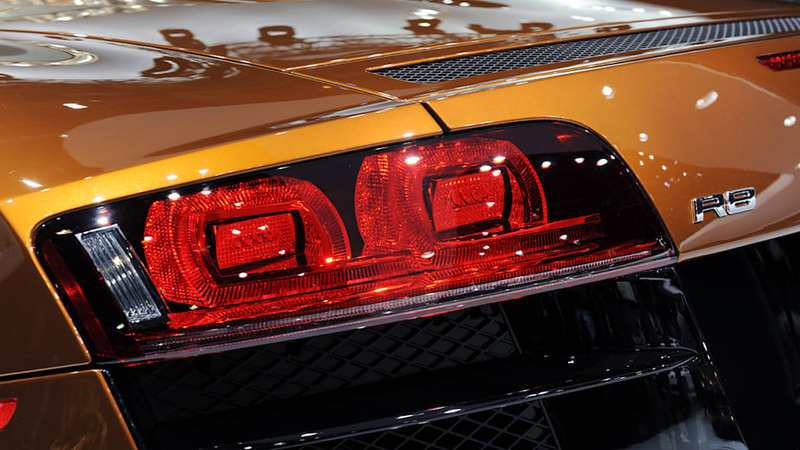 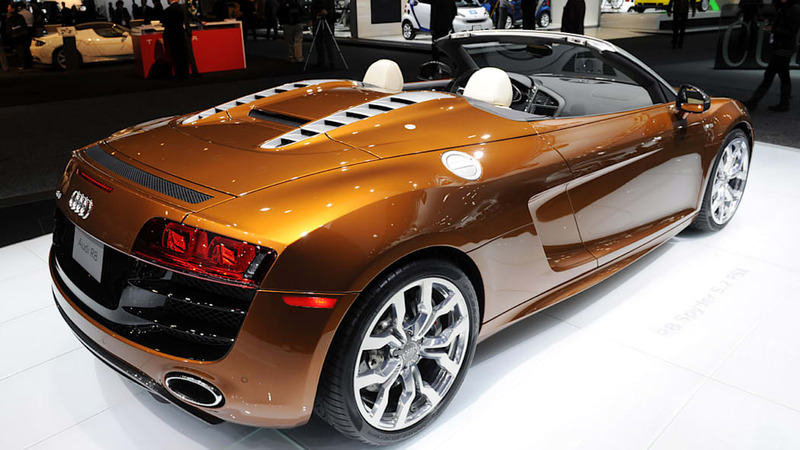 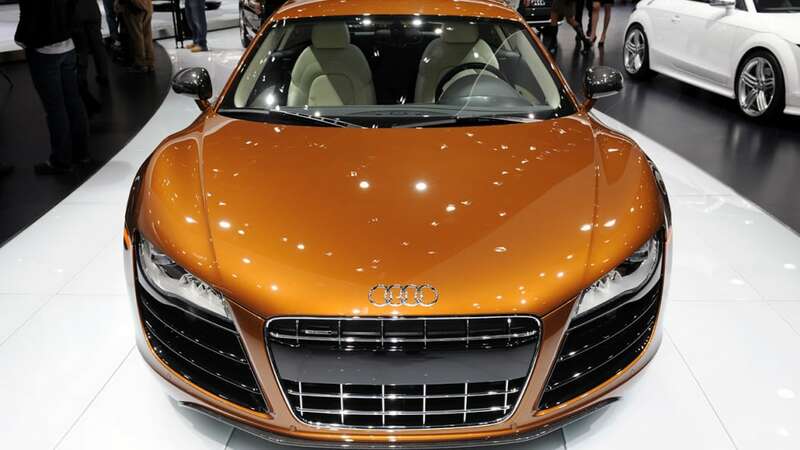 Check out the gallery below and decide for yourself whether the color suits the R8.